VIRGINIA BEACH, VA (January 30, 2019) - Fans of the PBS show “Samantha Brown’s Places to Love” can learn her travel secrets in person on a seven-night Danube River cruise this summer available exclusively through AAA Travel. The cruise will take place July 14-21 aboard the brand-new AmaMagna by AmaWaterways, a premier provider of European river cruises. “Samantha Brown shares AAA Travel’s passion for exploring our world, so we are excited to offer this opportunity for cruise passengers to benefit from her expertise while enjoying the amenities of one of the most beautiful ships in Europe along one of its most scenic routes,” said Judy Ocasio, vice president of Travel for AAA Tidewater Virginia. The cruise begins in Vilshofen, Germany and travels through Austria (including Vienna), Slovakia and Hungary, ending in Budapest. Each day’s itinerary offers multiple excursion options, allowing travelers to experience Europe in their own way. 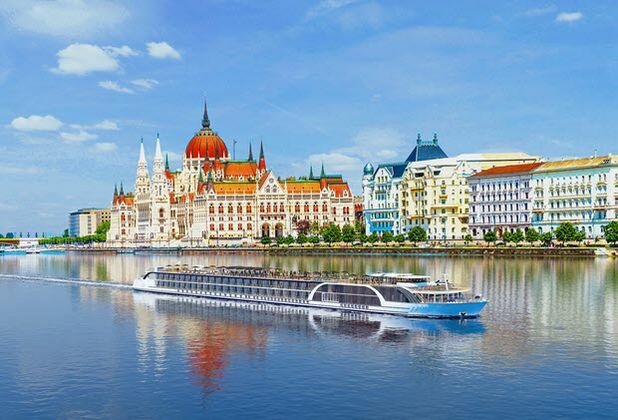 At almost twice the width of a traditional European river cruise ship, the AmaMagna offers a new level of luxury for travelers, with most suites ranging from 355 to 710 square feet and featuring full balconies. The ship also boasts four dining venues, a wellness studio, and a Sundowner vessel offering intimate excursions for cruisers at no extra charge. The cruise can only be booked through AAA Travel by visiting any AAA Tidewater branch, calling (888) 467-4955, or through the website.